The Eyes provide 14 base hits en route to a dominant win. 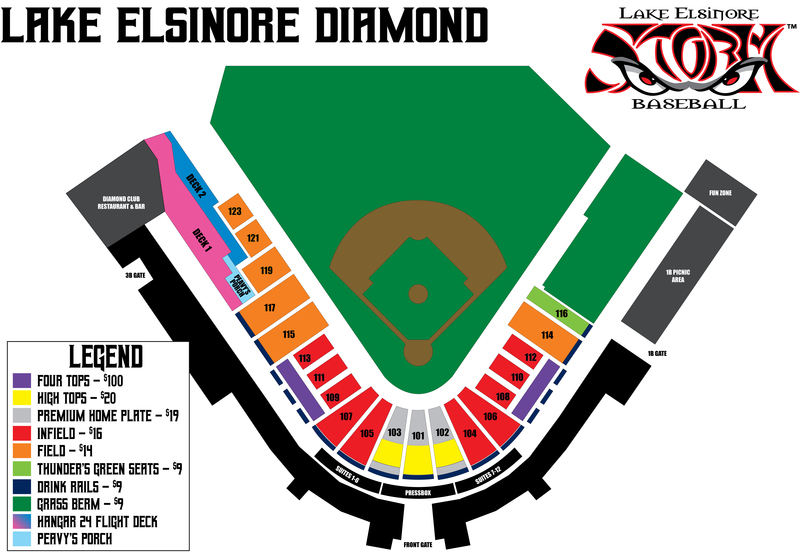 Lake Elsinore, Calif. - On a celebratory opening day at The Diamond, more that 5,000 fans were entertained with a great offensive attack as well as dynamic pitching. 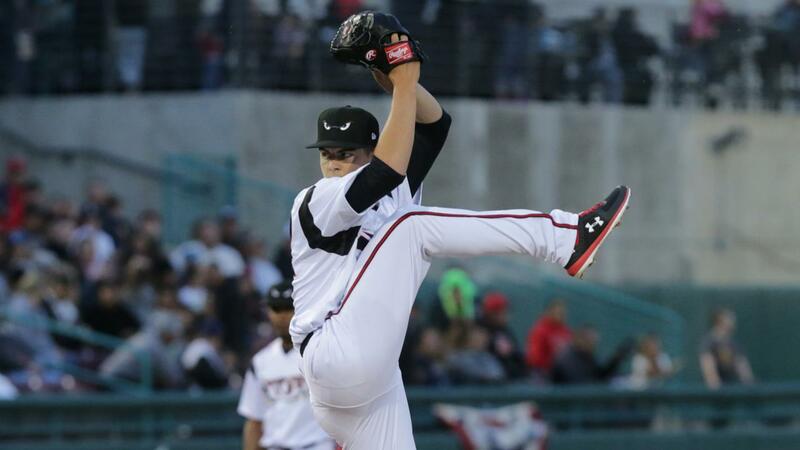 When the night began, Padres #2 Prospect (According to MLBPipeline) MacKenzie Gore took to the mound for just the second time this season after picking up his first win as a member of the Storm last Friday against the Inland Empire 66ers. After just three defensive outs, the Eyes got on the board quickly with an RBI single by Luis Campusano that scored Jeisson Rosario from second base giving the hometown team a 1-0 lead. Next time up to bat, the Storm crushed four runs off of 66ers starter Aaron Hernandez via a Robbie Podorsky single, Tirso Ornelas single and followed up by back-to-back bases-loaded walks to Jack Suwinski and Gabriel Arias. Just like that, the Storm jumped out to 5-0 lead which was plenty of breathing room for Gore. The Whiteville, North Carolina native cruised through five innings on the bump while yielding just two hits and one walk while punching out seven batters. Gore has now started the season with 10 consecutive shutout innings. He left the game with an 8-0 lead after the offense added three more runs to the leger in the bottom of the fourth. The 66ers struck for a run in the top of the eight on a solo home run by catcher Ryan Scott that ended the combined shutout bid. The bullpen work of Elliot Ashbeck and Evan Miller proved to be dominant as they carried the load at the end of the game to complete a 9-1 Storm victory.